Home / Wellness / Nancy Lishack, M.Ed. 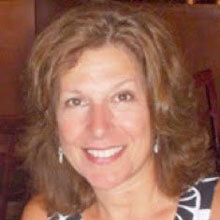 Nancy Lishack is dedicated to helping her clients reach optimal health. How can stress impact a woman’s chance of becoming pregnant? Can the human energy field be used to help those recovering from surgery? These and other questions inspired her to learn from some of the top practitioners in the field. She has studied under Dr. Alice Domar, a pioneer in the application of mind/body medicine, who is the Director of Integrative Care at Boston IVF. In 2009, Nancy graduated from the Barbara Brennan School of Healing in Miami, FL where she studied the fundamentals of the human energy field and its relationship to illness and health and to psychological and spiritual development. In addition, Nancy has graduated from a four-year mind-body training program, PsychoEnergtics, where she learned to facilitate and support a meaningful transformational journey for clients using mindfulness, breath work and body-oriented techniques. For more than three decades, Nancy has taught at the high school and college levels all while continually seeking to educate herself on ways to assist others on their path towards vibrant health and contentment. Nancy has provided support to a range of clients, from those undergoing hip and knee surgery to others receiving treatment for cancer, depression and many other conditions. Since many of her clients are dealing with fertility issues, Nancy feels passionate about the powerful support RESOLVE: The National Infertility Association provides to men and women and is proud to be a professional member. People dealing with fertility issues know that stress is their constant companion. According to Dr. Domar, “infertile women report equivalent levels of anxiety and depression as (do) women with cancer, HIV status, or heart disease.” Learning to control this anxiety and stress is essential. The Mind/Body Fertility Program at Calm Waters Holistic Healing, LLC™ is modeled after Dr. Domar’s program in Boston. Learning how to cope with the emotional aspects of fertility issues not only improves a couple’s quality of life, studies suggest it can also result in a higher pregnancy rate. Research shows that people who participate in mind-body programs increase their chance of conception by more than 50 percent within just six months, with a remarkable 95 percent becoming pregnant within two years. This one-day intensive workshop, limited to 10 participants, will include key components of the 10-week program and is tailored to women and couples who are unable to commit to an intensive 10-week program. Considered to be our elite program, this intensive, 10-week program is for participants who are committed to achieving the lasting benefits of this mind/body experience. For details or to register for our upcoming 10-Week Mind-Body Fertility Program, click here. I understand the painful struggle a couple experiences when facing infertility. My approach to healing and personal transformation is holistic, focusing on you to create optimal health in body, mind, and spirit. This holistic approach will help you feel like yourself again allowing you to regain a sense of control, create emotional well being and cultivate a new perspective during this challenging time. Each one-hour session is tailored to your personal needs for a private, truly individualized mind-body healing experience. We will arrange a time for each one-hour session that fits your schedule. Appointments can take place either in my office or over the phone. Call to schedule your first appointment at 412-657-3568 or email nancy@calmwatershealing.com. Preconception care is essential to keep you healthy, fertile and ready to welcome a pregnancy. This seminar will help you to enhance your health, preconception wellness, fertility and ultimately the health of your children. Topics such as mind-body techniques, stress and fertility, deep breathing techniques, yoga, lifestyle choices, nutrition, toxins and sleep will be discussed during this workshop. For more information on what preconception care is and why you need it, click here. To register for the upcoming workshop, click here. As a certified Brennan Healing Science practitioner, I help clients create optimal health in body, mind, and spirit. Brennan Healing Science looks at a person more deeply than just physical symptoms. It’s been called an enlightening system of healing that combines hands-on healing techniques with spiritual and psychological processes touching every aspect of your life. This specialized healthcare modality is intended to be integrated with your other healing work, such as traditional medicine or psychotherapy. To learn more about the benefits of energy medicine and what to expect in a session, click here. Call to schedule your first energy healing session at 412-657-3568 or email nancy@calmwatershealing.com.